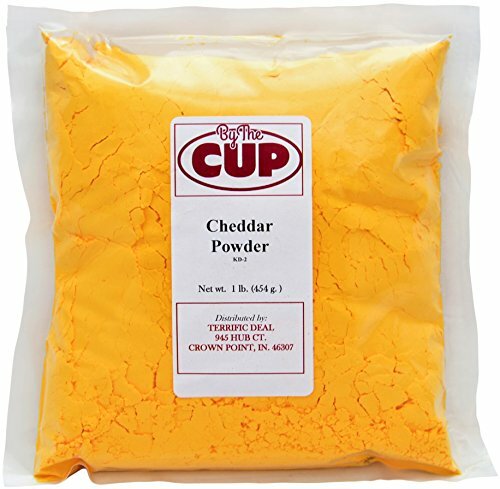 By The Cup Cheddar Cheese Powder is great for homemade mac 'n cheese. Sprinkle cheddar cheese powder over french fries, popcorn, pretzels, or baked potatoes. Mix cheddar cheese powder with butter or sour creme to create cheese sauces, dips, and soups. For a little heat, add pinches of ground jalapeno or ground habanero. Cheddar cheese powder uncorks conventional broccoli, cauliflower, and asparagus dishes, as well as hamburger and pasta casseroles.